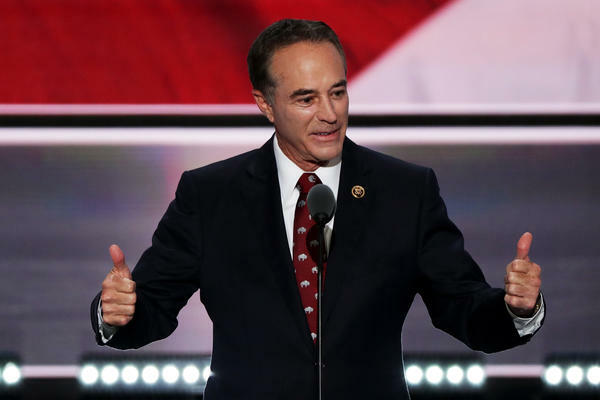 "We will answer the charges filed against Congressman Collins in Court and will mount a vigorous defense to clear his good name," defense attorneys Jonathan Barr and Jonathan New said in a statement. "We are confident he will be completely vindicated and exonerated." The attorneys note that Rep. Collins is not accused of selling any of his own shares, which lost 92 percent of their value after the adverse results of the clinical trial were made public. Collins' dealings with Inate Immunotherapeutics are also the subject of an ongoing congressional ethics probe. He had promoted the stock to former Rep. Tom Price, R-Ga. Price's own holdings in the company became an issue when he was nominated to be President Trump's first secretary of health and human services.